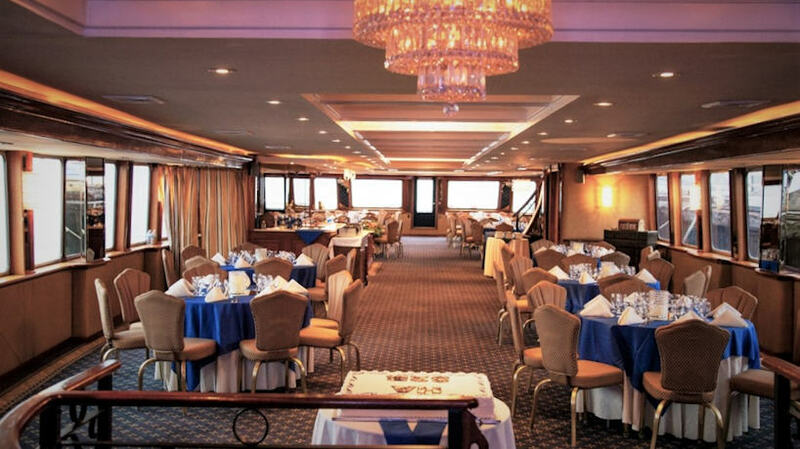 Welcome aboard ROYAL PRINCESS, our luxury upscale tri-level yacht charter with guests counts from 75-180 guests. 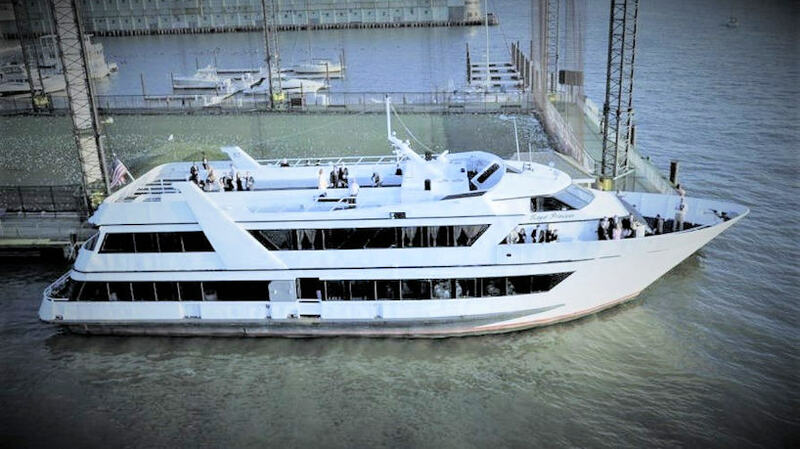 Perfect for your NY or NJ private charters. 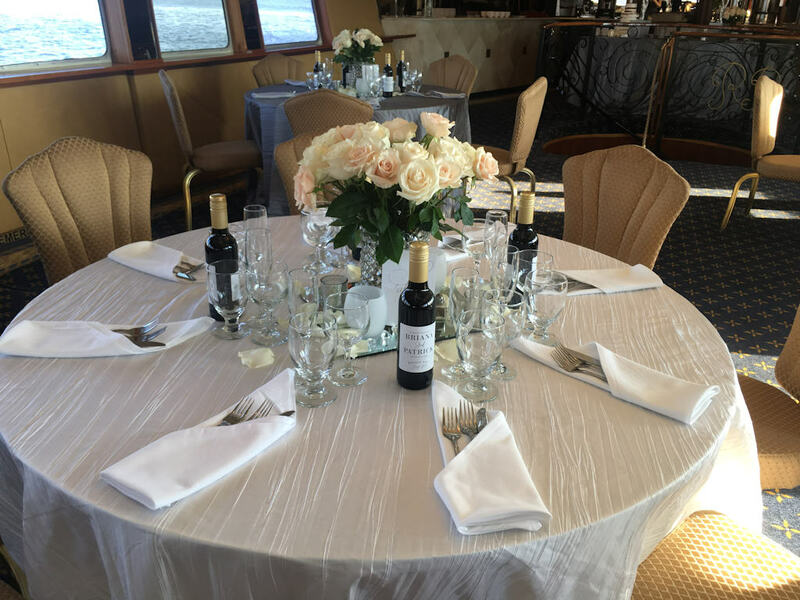 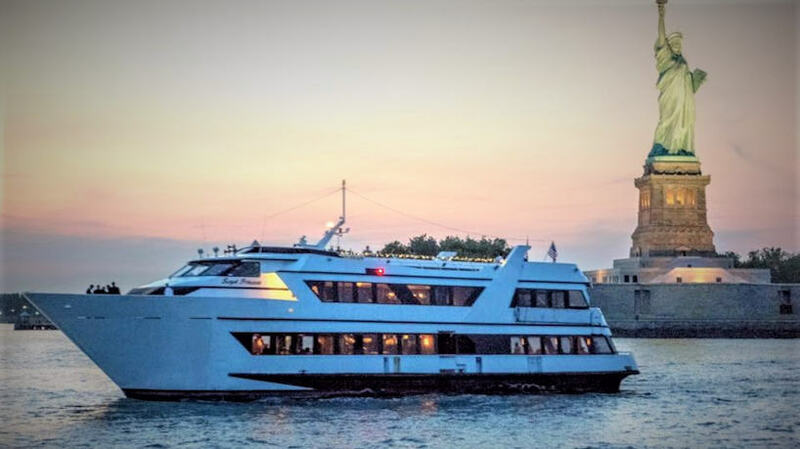 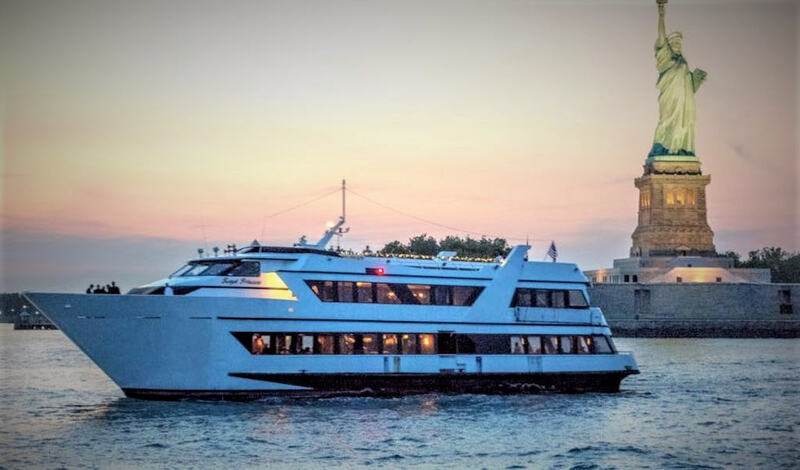 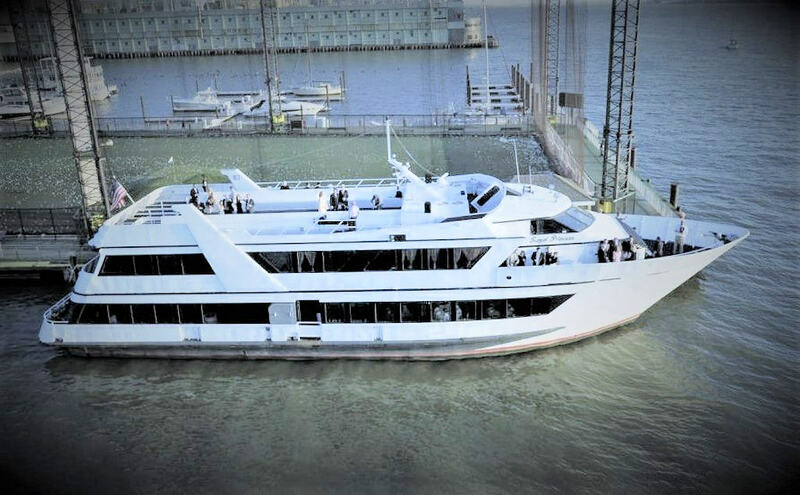 Based out of Liberty Harbor Marina in Jersey City, and also availble from Pier 81 in NYC and tour the magnificent NY Harbor in elegance and style! 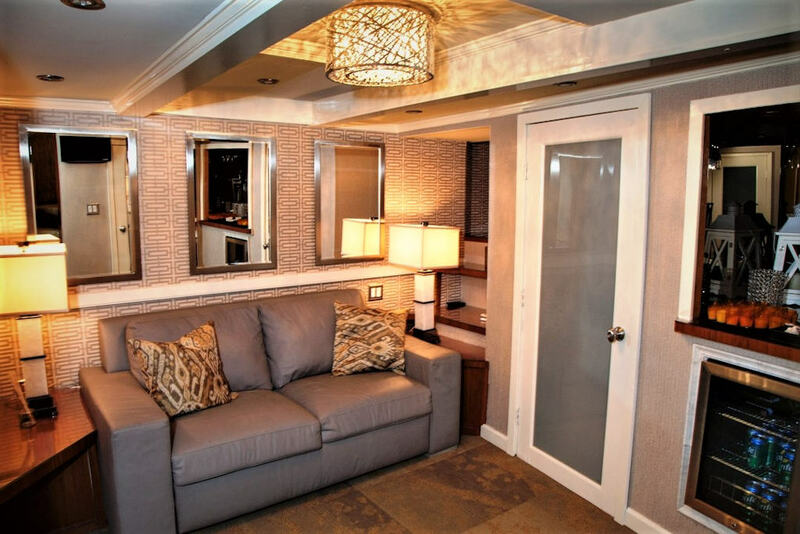 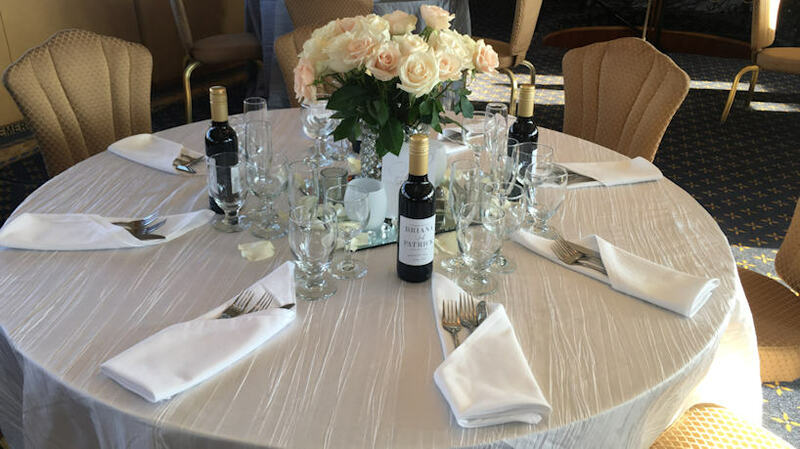 Amenities Include - Private cocktail or dining events for intimate gatherings of up to 75 to as many as 180 guests. 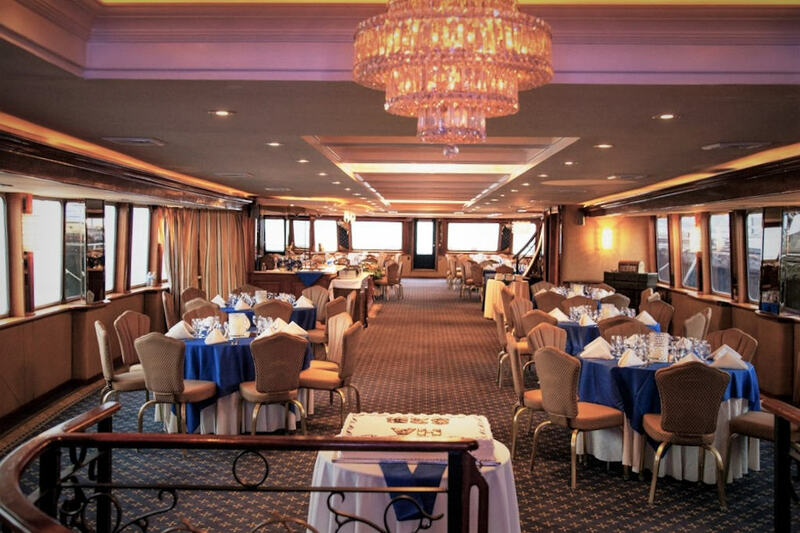 Royal Princess has 2 indoor levels and and an open air upper deck. 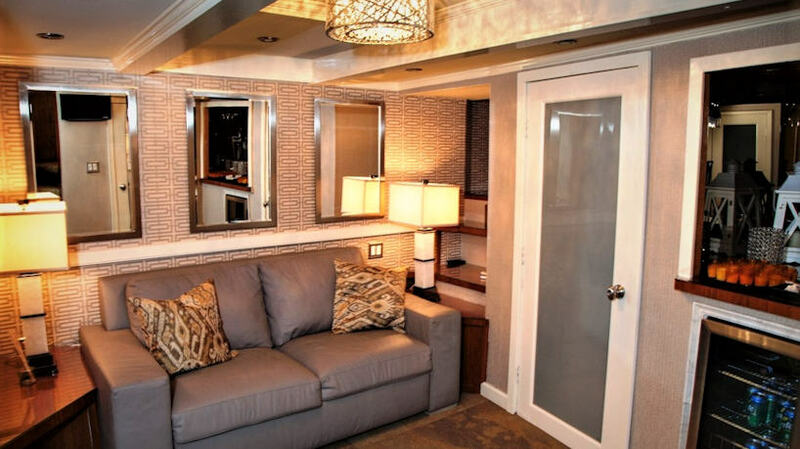 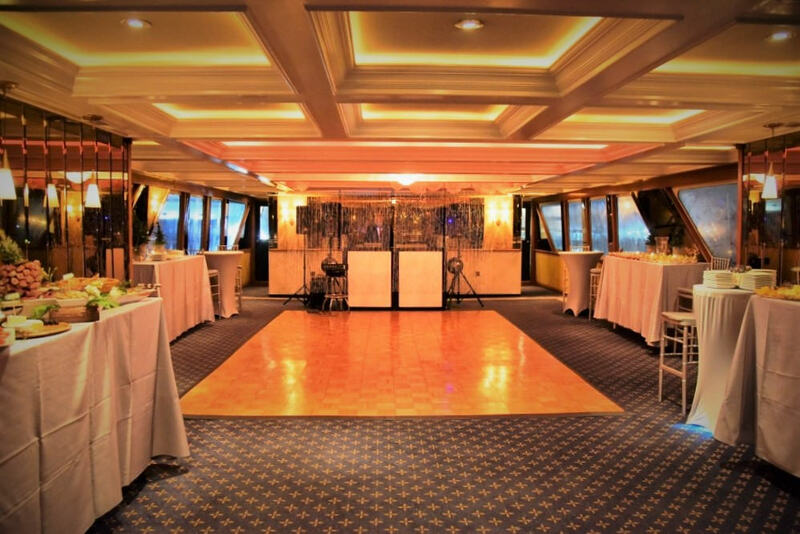 She features marble bathrooms - Multiple dining and cocktail party options with High tops and round dining tables. 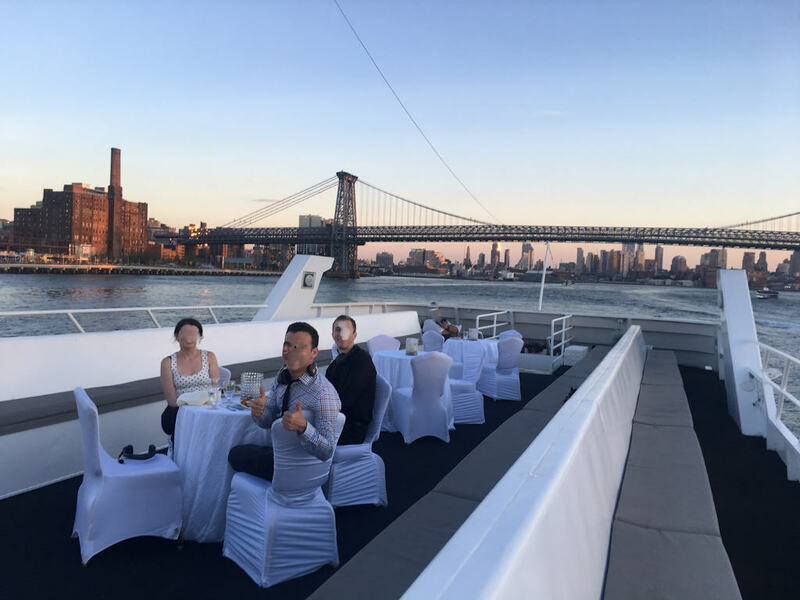 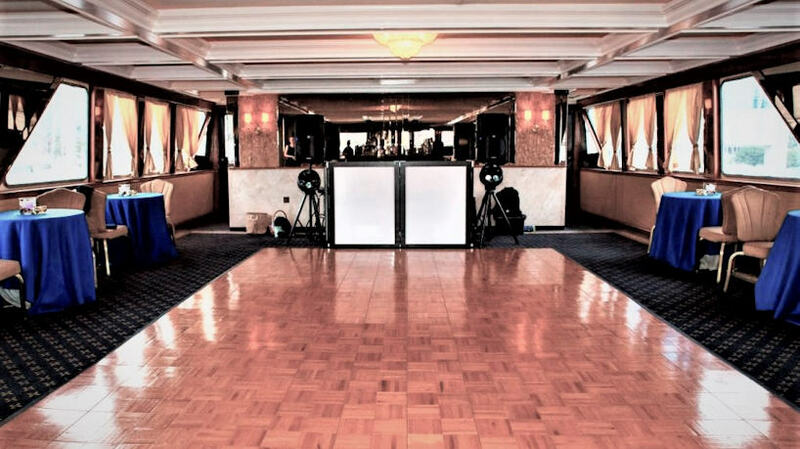 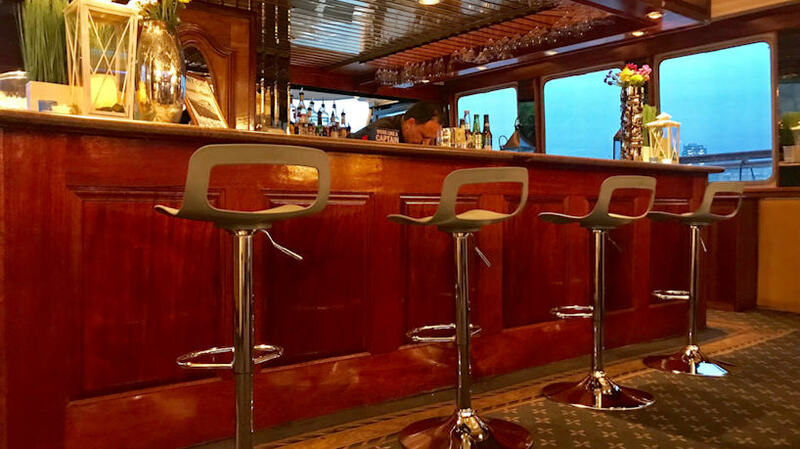 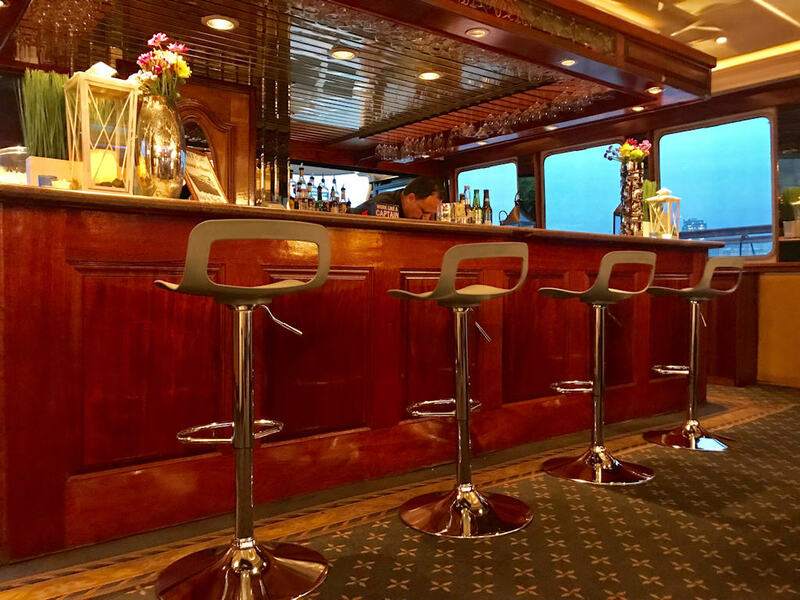 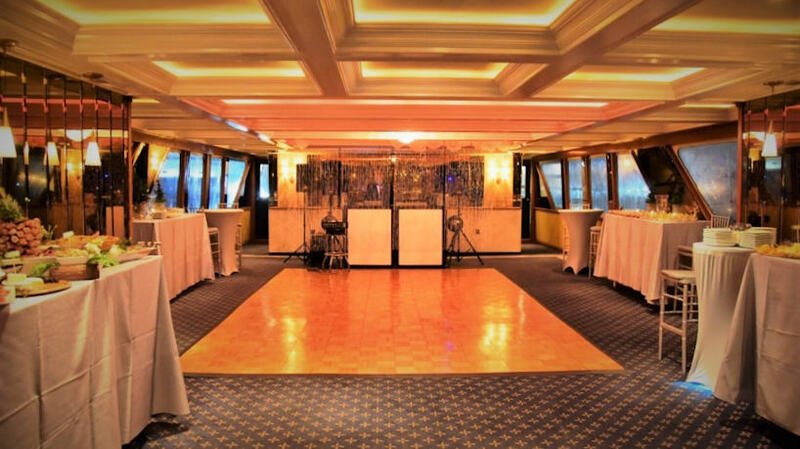 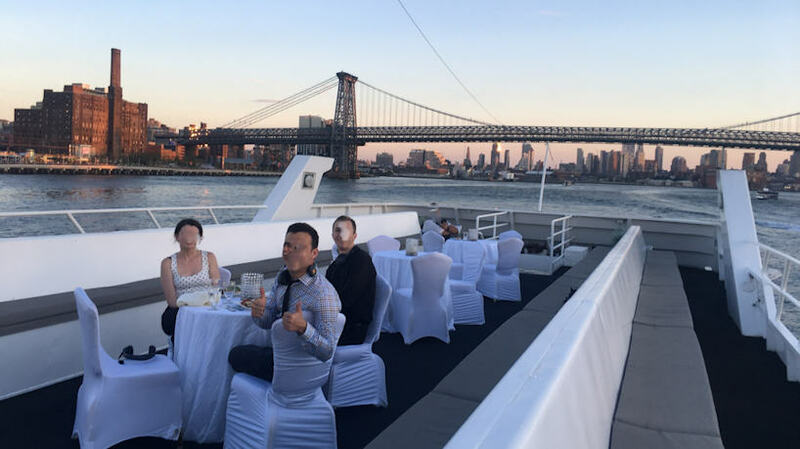 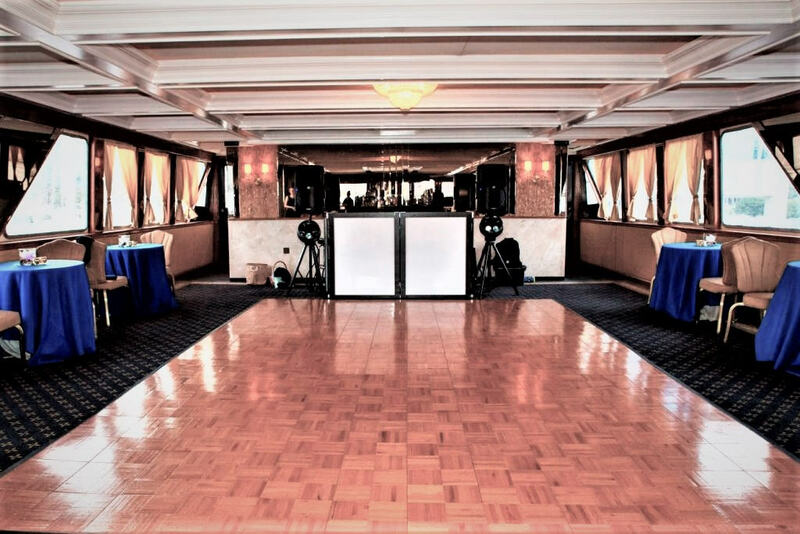 Suede inter-changeable love seats/ottomans, Portable dance floor, full DJ and lighting system, 55" drop down flat screen, Open upper deck with bench seating for sweeping views of NY Harbor - too much to list!